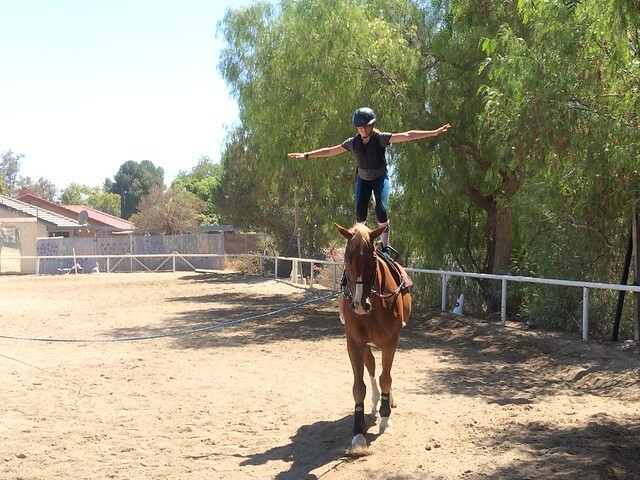 we have had the most wonderful trainer/instructor at our barn this summer. 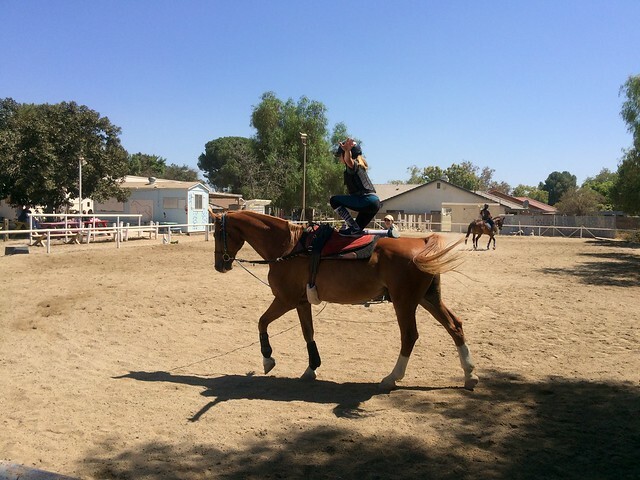 Sabrina came to us last summer from Austria (via a ranch she'd been working at in Costa Rica). she had taken two years off to travel and work with horses around the world. she enjoyed our program so much, she decided to end her tour back in Chatsworth. 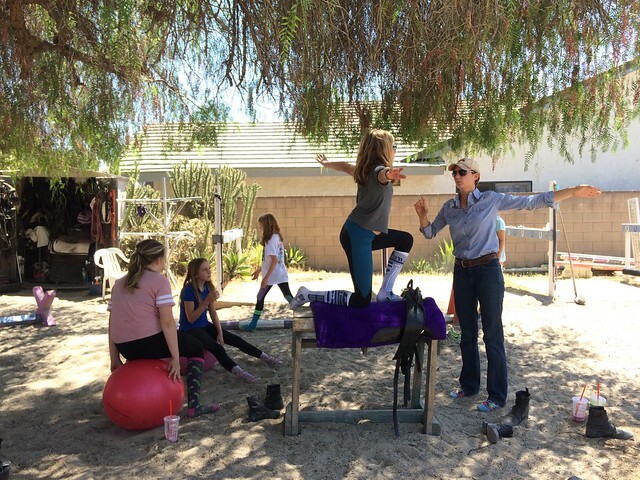 in culmination of her time, she presented the girls with vaulting workshops (one for tweens and another for teens). they had a blast. 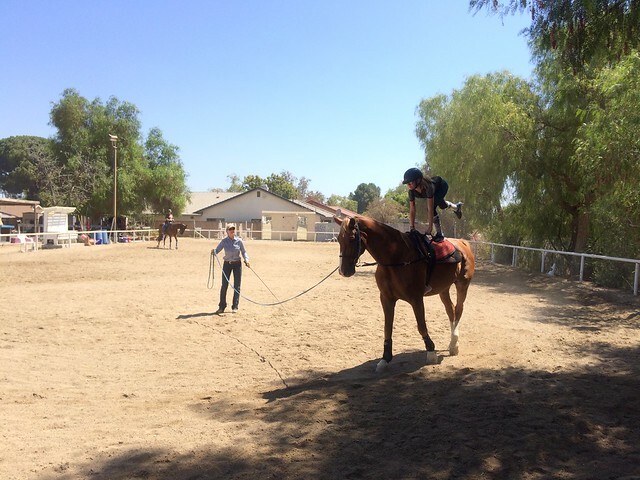 their fearlessness and comfort around horses never ceases to amaze me. i missed E's workshop with prior commitments. but after hearing about it, i made sure to be present for the second day of K's workshop.